Editor’s Note: This article originally appeared at The Siege of Petersburg Online: Beyond the Crater on Monday, January 17, 2011. 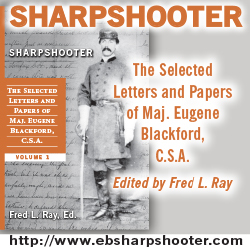 Bryce Suderow is an author, researcher, and Siege of Petersburg specialist. With the benefit of hindsight, today’s military historians can look back at the Army of the Potomac of June-July, 1864 and declare that it was terribly demoralized. The next questions are: Did the high ranking officers commanding the army know that morale in the army had hit rock bottom? Did they still nevertheless send their men into battle without the skill to survive? And, if so, should they be called to task for doing this? Winfield Scott Hancock refused to believe his vaunted Union Second Corps had lost its morale before the Siege of Petersburg. As revealed in the example above, Hancock refused to believe that his II Corps had disintegrated as a fighting force. Instead he viewed the rout on June 22nd as a fluke that stern fatherly discipline would prevent from happening again. However, he had been warned about low morale twice by his aggressive 1st Division commander, Brig. Gen. Francis C. Barlow. Asked by Hancock on June 6th if he thought an assault on the rebels in his front would succeed, Barlow, as usual, was forthright in his answer. He said, “I do not think it expedient to assault again at present. The men feel just at present a great horror and dread of attacking earth-works again, and the unusual loss of officers, which leaves regiments in command of lieutenants, and brigades in command of inexperienced officers, leaves us in a very unfavorable condition for such enterprises. In his after-action report on the rout on June 22nd, after pointing out the dangerous isolation of the corps and the fact that his left was open to attack, Barlow brought up the topic of low morale again: “Our advance and separation from the Sixth Corps exposed us to be attacked under very unfavorable circumstances. At the same time it must be admitted that the troops did not meet the attack with vigor and courage and determination. The brigades of my front line (Second and Third) are too unsteady, from loss of commanding and other officers and other causes, to be much depended on in circumstances requiring much nerve and determination. 1. The V Corps commander, Warren, was aware of demoralization among his men: On June 3rd Warren told Lyman about the condition of his troops. “For thirty days now, it has been one funeral session, past me; and it is too much! To-day I saw a man burying a comrade, and, within half an hour, he himself was brought in and buried beside him. The men need some rest.” 2. The bloodbaths at the Wilderness, Spotsylvania, and Cold Harbor took a toll on the Army of the Potomac by the time it reached Petersburg. Both Lt. Col. Theodore Lyman, Meade’s Aide-de-Camp, and Meade himself were aware of the demoralization. After the collapse of the June 18th assault, Lyman wrote, “It was as I expected. Forty-five days of constant marching, assaulting and trenching are a poor preparation for a rush! The men went in, but not with spirit; received by a withering fire, they sullenly fell back a few paces to a slight crest and lay down, as much to say, ‘We can’t assault but won’t run. . . The whole thing resulted just as I expected. You cannot strike a full blow with a wounded hand. 3. Lyman wrote of the June 22nd route of II Corps, “In this disgraceful affair the enemy’s forces could not well have exceeded 8,000 men, while our own must have been 30,000. 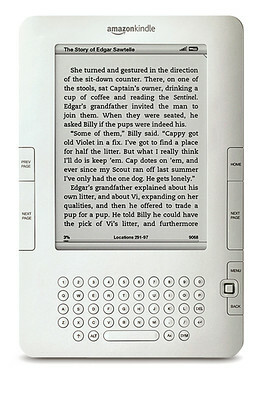 But, with hesitating corps commanders, exhausted troops, and a dense and unknown country numbers went for nothing.” 4. Meade was aware that morale was in danger of plummeting when he wrote to his wife on June 21st. He told her, “We have been very quiet for two days, having given up the idea of taking Petersburg by assault. Indeed, the army is exhausted with forty-nine days of continued marching and fighting, and absolutely requires rest to prevent its morale being impaired.’ 5. On the 24th of June he noted that the entire army was less efficient because it had suffered such grievous losses. He wrote, “On the 18th I assaulted several times the enemy’s positions, deliberately, and with the expectation of carrying them. . . Nevertheless I failed, and met with serious loss, principally owing to the moral condition of the army, for I am satisfied, had these assaults been made on the 5th and 6th of May, we should have succeeded with half the loss we met. “Another inconvenience we suffer from is the loss of superior and other officers. Hancock’s corps has lost twenty brigade commanders, and the rest of the army is similarly situated. We cannot replace the officers with experienced men, and there is no time for reorganization or careful selection. 6. Grant’s Chief-of-Staff, Maj. Gen. John A. Rawlins, was aware of the grievous losses suffered by the Army of the Potomac. In a letter to his wife dated June 11, 1864 from Cold Harbor he informed her that the Army had lost over 55,000 men. He added: “The number is great, but the losses of the enemy are also great. We have already captured and sent forward fully 11,000 prisoners, but in killed and wounded their loss must have been considerably less than ours, especially at this place. Our attacks have been against a strongly fortified position. In all other places I should say their loss has been as great as ours.” 7. In other words, according to Rawlins, the Federals had lost heavily, but they could afford the losses. The rebels could not because their man power was limited. Nowhere in Rawlins’ letters for 1864 is there any mention of the effect these terrible losses had on the morale of the troops. Nowhere is there mention of the condition of the troops at all, much less that they were tired, fatigued or otherwise indisposed. The condition of the troops did not interest Rawlins. The only thing that mattered was that Grant was winning the war of attrition. Grant’s attitude towards losses was similar to Rawlins’. And when his men stumbled and erred because of losses, he reacted the same way Hancock did, with baffled anger and blaming the victims. A word about terminology is necessary. Note that most the commanders state that the men were “tired”, that they needed “some rest,” and so forth. These were euphemisms for the real words which could not be spoken. With the exception of Barlow no one said the men were demoralized or that they would no longer attack intrenchments. No one was going to admit his men would not obey his orders to attack. That was a sure-fire career wrecker. Any officer who admitted that would have been relieved of command and replaced. The officers in the Army were torn between career ambition and duty on the one hand and a responsibility to the soldiers who looked to them for guidance and wisdom. This historian cannot state whether Grant and Meade knew. Some of the division and corps commanders did, however. Note that the higher the officer in the II Corps, the less likely the appearance of the real cause for the poor performance by their troops. 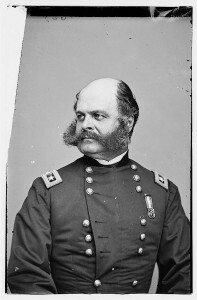 Ambrose E. Burnside advocated the use of his USCT Division due to the hard fighting his other troops had experienced. Burnside also pointed out that his inspector general had made the same observations about the unfitness of the white troops. What we do know is that the army’s structure discouraged men from admitting the truth. By the 24th Grant’s forces were holding a line extending from old Confederate Battery 1, anchored on what becomes known as Fort Davis and Fort Sedgwick. Grant awaited the return of the cavalry under James H. Wilson and August Kautz, and they were lucky to get back. They got as far as the Stanton River bridge where they were checked. On their way back to join Grant’s army they were battered in the first Battle of Reams Station, where they lost all their artillery and wagons – everything they had on wheels. Many had lost their horses and the remaining horses would broken down. It would take weeks to acquire remounts and for the tired horses to recover from the raid. Probably it was a good thing that Wilson was Grant’s protégé for he could have been out of a job when the cavalry returned on the 30th. The rest of Sheridan’s cavalry was not in much better shape. 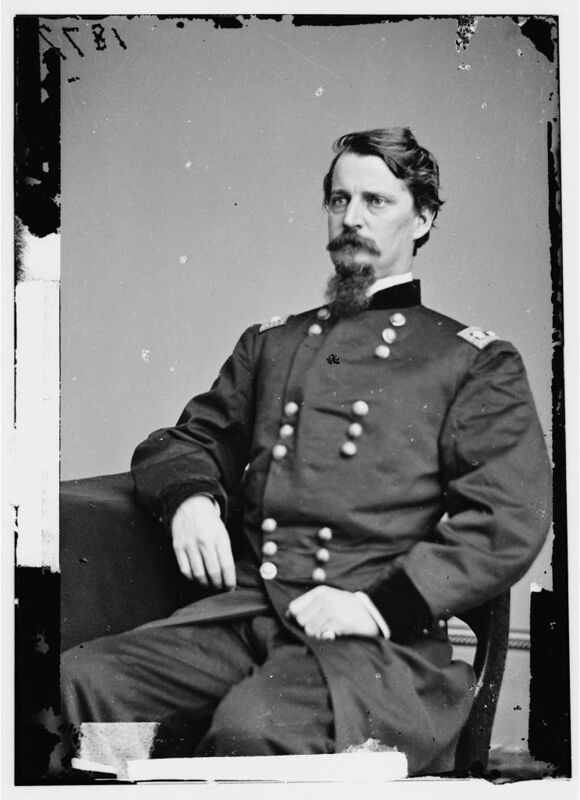 On June 8th Grant had sent his cavalry chief raiding northwestwards towards the Shenandoah Valley to link up with Hunter after destroying the Virginia Central Railroad. Hampton stopped Sheridan’s raid at Trevilian Station and after two days of fighting Sheridan retreated. Intending to rejoin Grant by crossing the James at Deep Bottom he was blocked by Confederates and forced to take a detour to White House Landing on the Pamunkey, an event that prolonged his return by two weeks. Sheridan had failed to accomplish of his two objectives and his men were worn out. Many of his horses had given out on the trip and has been shot to prevent their falling into rebel hands. Thus these cavalrymen also needed time to recuperate. For several days the armies pondered what to do next. Then Meade called up Colonel Abbot with the siege train, 120 heavy guns, 60 mortars, 40 heavy rifled guns, and ordered him to begin bombarding Petersburg. Bryce, interesting article on a subject that does not get the attention it deserves. Trench warfare is traumatic in a way few Americans of the 19th century could have foreseen. As horrific as open combat was, it at least had a clear beginning and end. At Petersburg, soldiers stayed in confined spaces for weeks or even months at a time, during which death could come at any moment. The constant strain and sense of helplessness these men experienced is difficult to imagine, and it certainly hit both sides hard. The Army of Northern Virginia’s desertion rate likewise soared during this period. “Demoralized” is almost as much of a euphemism as “tired.” Many of these men had seen their friends dismembered, disemboweled, and left screaming for their mothers between the lines. They’d been in countless useless attacks and heard endless false promises and hollow boasts from politicians and officers alike. It’s easy for generals to talk numbers, but when you’re ordered to attack across open ground against a fortified enemy position, you don’t see how many men you’re going to be up against. You don’t see the grand strategic plan. All you see is another chance at becoming crow feed. On top of it all, many soldiers were reaching the ends of their enlistment terms. Home was just a heartbeat away.